Qualms of An Antagonist: Serviced at last. 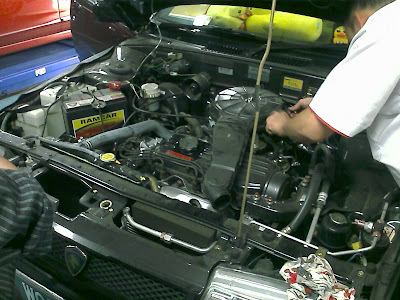 In this post, I'll mostly be rambling about cars (being the typical guy I am). If you're not into these sort of things or your name so happens to be Sam(Kidding :P), I suggest you to skip this. Was supposed to bring my car in for a checkup at the 10,000 KM mark but when I brought it in the workshop it was already reaching 13,000KM mark. 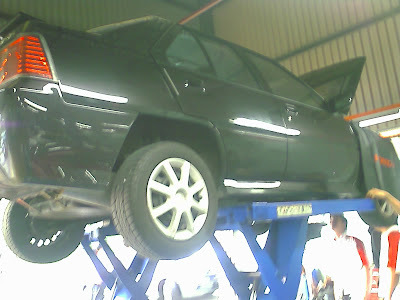 My car's engine oil needed to be changed, the power window was faulty already and I suspect the brakes is wearing out. Notice the green lines? Turns out the radiator was leaking. 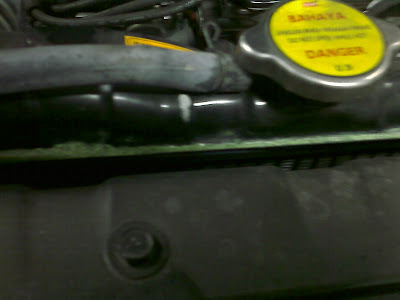 Temporary solution : radiator's pipe was re-aligned. 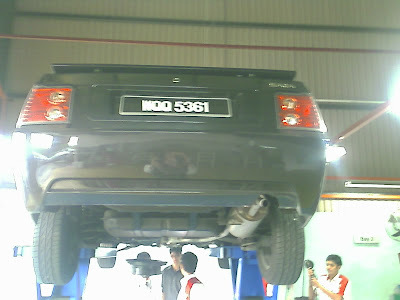 Another one of proton's faulty contraptions. Upgrade air-filter to K&N Performance Drop-in filter. Able to warm up the engine before I even step in and 2-way alarm warns me if anyone ever touches my baby. Better power at all RPM range.Though weaker end power but good for cruising and street use. Btw turns out the brakes wasn't faulty. Tyre's grip isn't suitable for my driving style.